He is extremely skillful in photographing the best of every location. 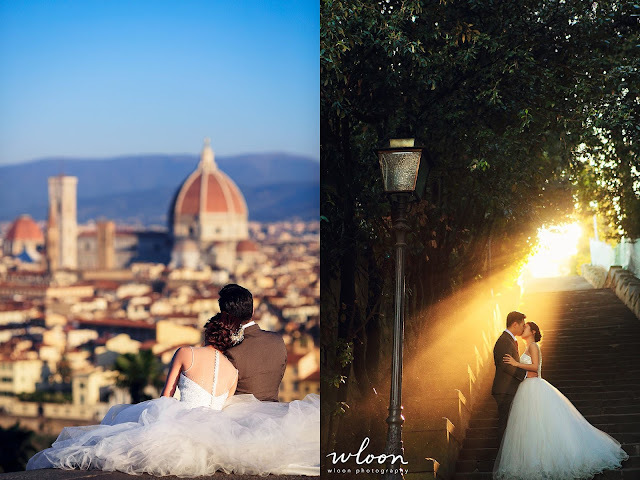 With extensive experience traveling to many places capturing faces of couples in love, Wooi Loon's images depict a story, a special somewhere, a romantic journal. 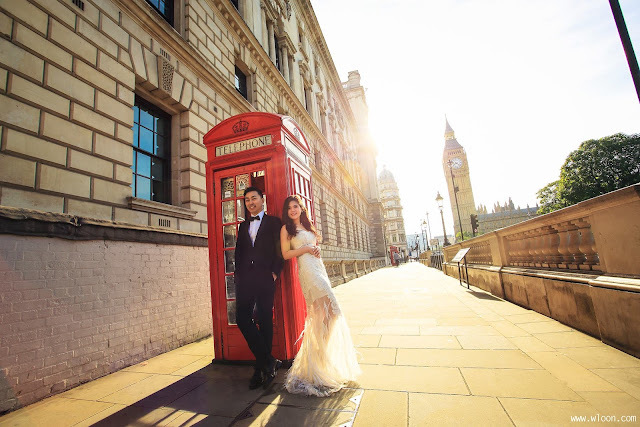 It requires the technique of a professional photographer to produce the pictures (below) that blow one's mind - Sparkly trees, back light, sun ray/ flare, crystal clear waters, night scenery, moving objects, landmark architecture, bright colors, amazing sky; at the same time showcasing the overall mood of the picture. 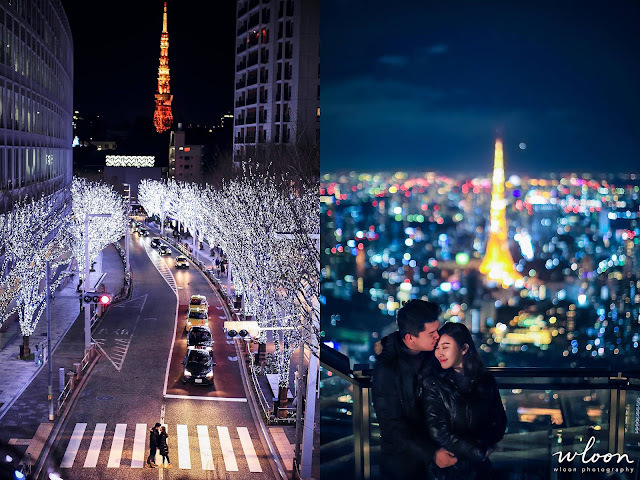 The best of Tokyo night scene. Tokyo Tower. Furano Flower Fields, Hokkaido, Japan - lavender and other species of flowers in various colors. Flowers planted in straight lines are such beautiful sight. Location: Florence, Italy. The shot of the sun ray is so amazing. Blausee, Switzerland - crystal clear, deep blue lake amidst a large park. Glorious nature. Astronomical clock on the right. Left: The mysterious Church of Mother of God before Týn (The Gothic Tyn Cathedral Twin Towers) and flying crows. 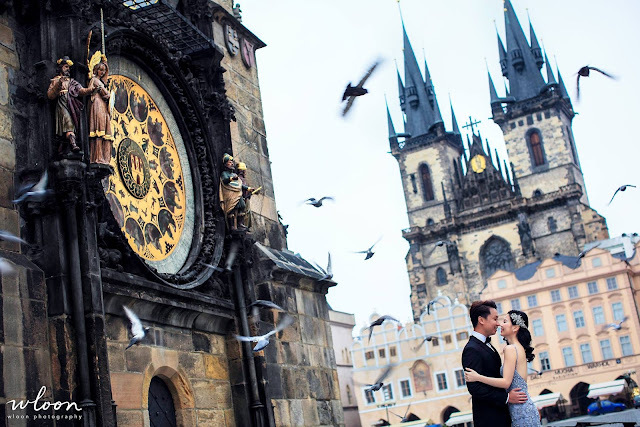 Pre-wedding photography in the Gothic Prague. Bukchon Hanok Village, Seoul, South Korea - a residential area with hundreds of traditional houses. 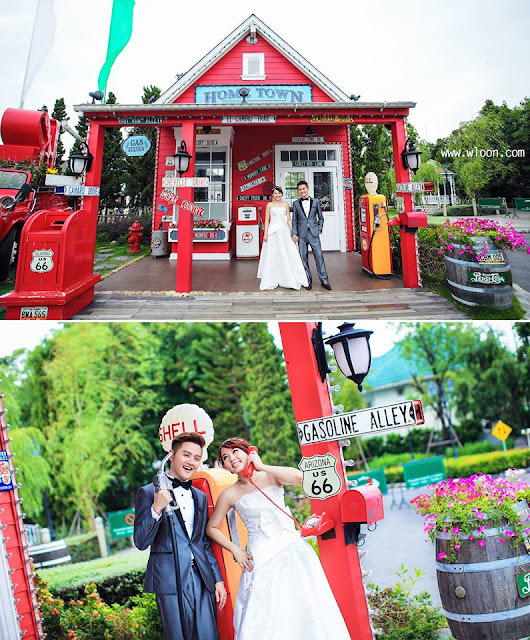 Pre-wedding photography in South Korea. 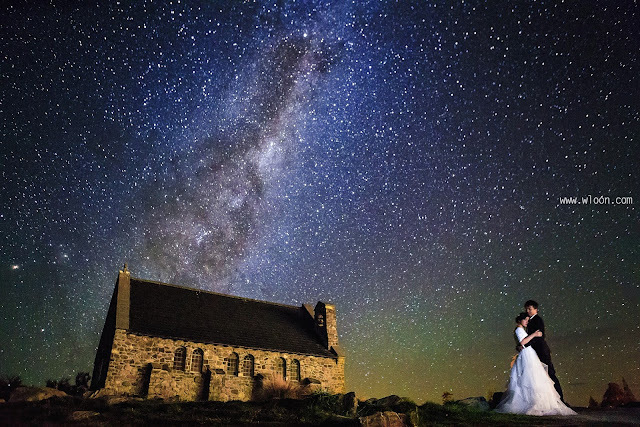 The starry sky with Church of the Good Shepherd as the backdrop at Lake Tekapo. Love the red green diffuse glow and the majestic Milky Way which looks like white dust. Pre-wedding photography in New Zealand. Chocolate Ville Restaurant - Dining in the Park, Bangkok, Thailand. * It was more like travelling with 2 trust-able friends; chatting, laughing, enjoying ! * Don't worry about how to pose, Wooi Loon demonstrated different poses. Hahaha, he is talented! * Even though it was chilly cold, Wen Xian also made sure we looked fabulous all time. I truly adore this travel photographer Wooi Loon for his natural and romantic wedding shots. He traveled to many countries and loved capturing happy faces of different people. 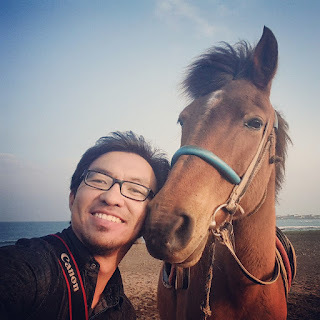 Whenever you need a travel buddy and official photographer at the same time, just call him and he will surely say yes! But of course you have to check his busy schedule. 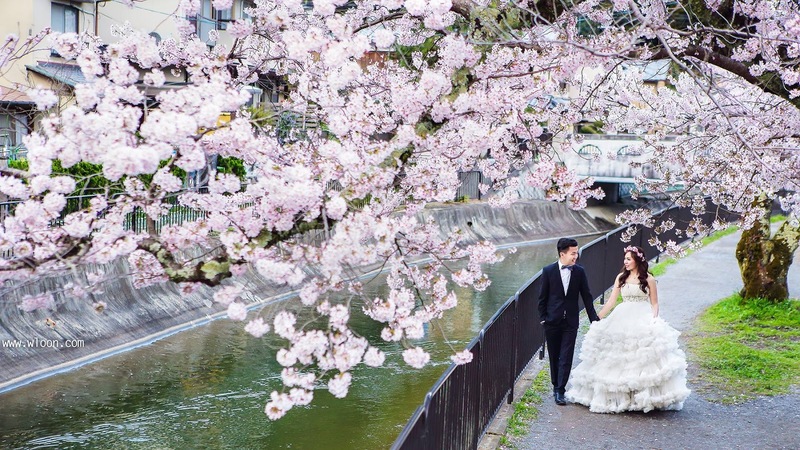 Whether it's a pre wedding shot or on-the-day coverage, all his shots are really sweet and dreamy. 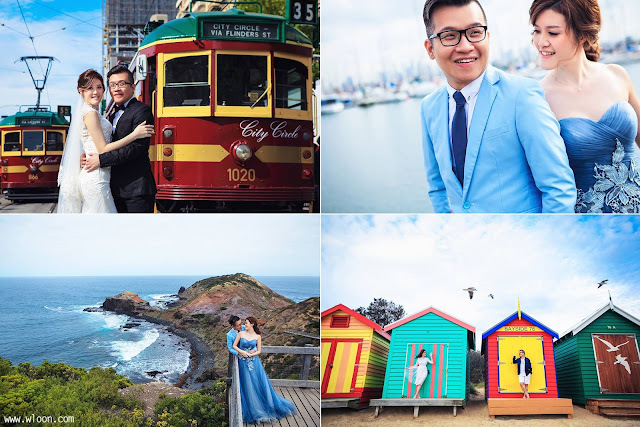 I couldn't get enough of these lovely photos!! !